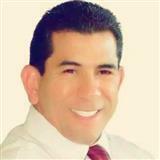 Jesus Alvarez is a Realtor serving the Tri-Valley area. He is backed and supported by the leading residential brokerage company in California - Coldwell Banker. Not only has Jesus been serving clients in the Tri-Valley area, but he has also lived and served in the Los Angeles area for the last 17years. In 1986, Jesus left Michoacán, Mexico and fell in love with California a beautiful state amongst vineyards, rolling hills, and yet home too many corporate headquarters. Prior to becoming a Realtor, Jesus had been in the Home and Construction business for many years, specializing in home improvement. Through those years, he had helped many clients remodel their homes with a specialty in window replacement, kitchen remodels, bath remodels, and flooring. After many years of helping clients beautify their homes, Jesus wanted to use this experience and knowledge to help clients sell their current homes and find their new dream homes. Jesus has a passion for working with Families to help with their home-buying, selling, and remodeling needs. He feels that since the Home is where the heart is, clients need someone like him who is knowledgeable, patient, and who truly understands the emotion of selling your Family home and finding the Home of your dreams.